Giant Custard Creams! 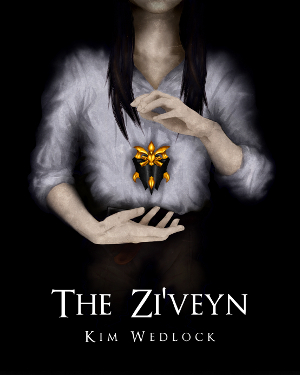 | A Blackbird's Epiphany - UK Women's Fitness and Fantasy Writing Blog: Giant Custard Creams! Huge ones! Giant slabs of deliciousness! Or...giant slabs of stone...I knew it was too good to be true. James Lamb is a very talented and quite insightful stoneworker, as can be seen by his amazing stone custard cream, an English favourite. Stone carving was an interest of his for some time, but it was only after attending an international stone festival held in Lincoln, UK - an incredible place to see gothic and medieval stone work and the carvers and masons restoring it, as well as a castle and several Roman arches which have been left as-is and simply built around - that he decided to take an introductory course taught by respected sculptor and restoration stone carver, Alan Micklethwaite. Following that, he knew it was something he wanted to take further and truly learn and master. This is how a lot of people start out with varying crafts and arts - they find an interest, see experts at work and eventually take a class out of curiosity, during which the secrets begin to unfold. And, a few short months after the class, he'd gotten himself some stone, built a workbench and ordered a few chisels. James is a full-time precision toolmaker, so he really knows his way around tools, but it also means that his time is limited, so he's only able to make a few pieces a year, which is a true shame. As a result, he doesn't waste his time making something that he might lose interest in. 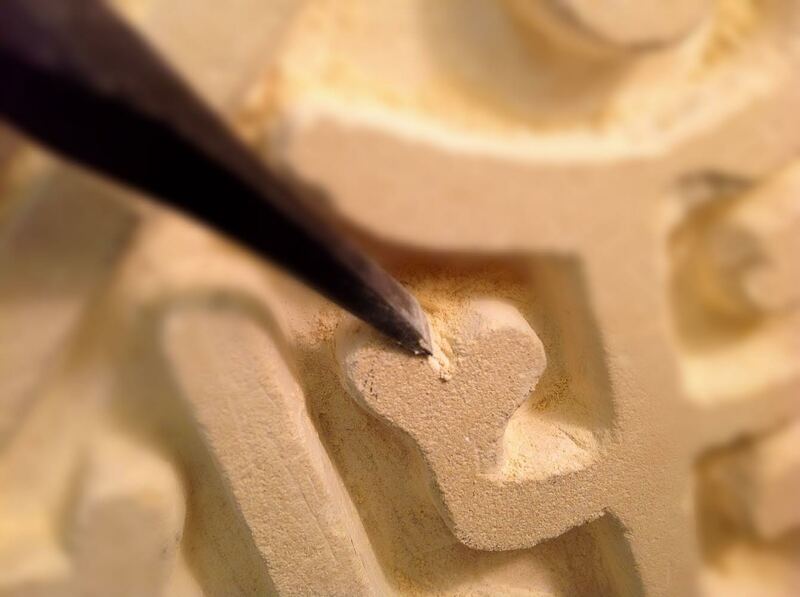 "I keep the initial idea of what next to carve to one side for a couple of weeks and it's only if I start considering about how I'm going to proceed in the designing and making the piece, imagining all the different stages through to completion and feel that I really have to make it -no matter how silly it seems- will I then finally decide to make the piece" - perhaps this is something that I should adopt. I've got a great number of projects left unfinished, including a posable doll I was working on of a ferret with a fantasy twist! As for the amazing custard cream itself, he has little idea where the idea came from. But I see that as a good thing. He doesn't limit his creativity by what's conventional, he goes for it, but he thinks it may have been the colour of the Maltese limestone it's made from. I can certainly see why! "I had initially thought of carving an entire biscuit but found the idea of a half-munched or broken one a bit more fun somehow" - it definitely makes a whimsical idea made more fantastical. Who or what took a bite out of it?! EDIT: He's recently opened an online shop on his website through which you can purchase such works, or contact him should you be interested in any of the items for sale or discussing any commissions. 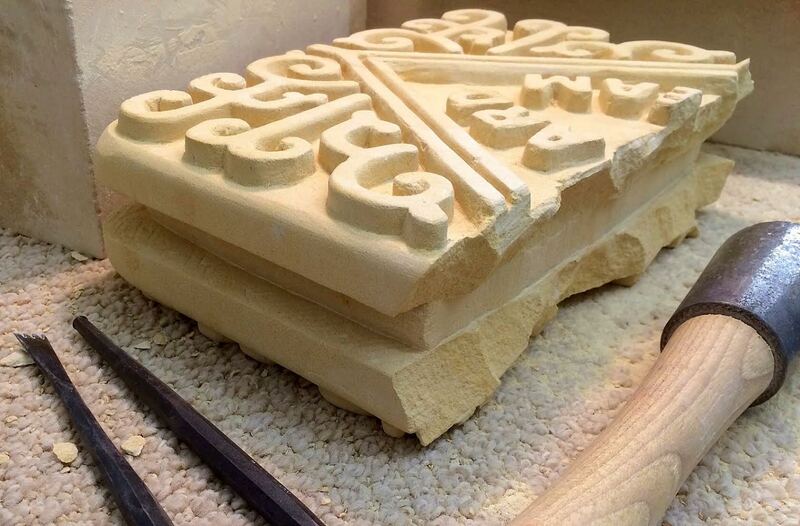 The stone custard cream itself is also for sale, and the price certainly reflects the time that has been put into it, and the detail, scale and precision. It's perfectly proportioned. 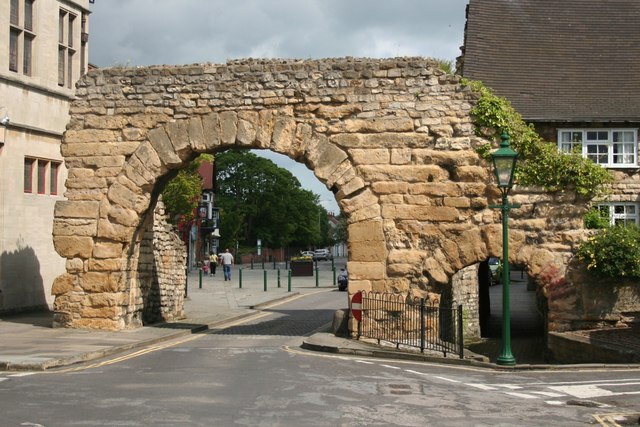 And, in case any of you are curious, because I certainly was, this is one of several Roman arches found within Lincoln that have simply been built around. 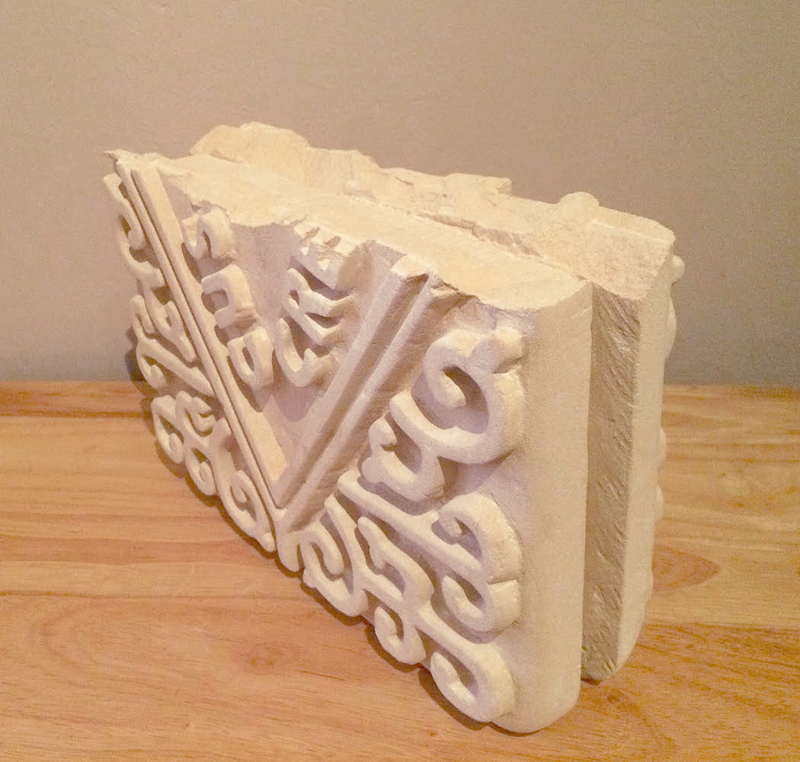 There are also Roman wells and gates - it's a truly incredible historical town, and it's not surprising that James Lamb's interest in stone carving developed while living in a place like this!